Congratulations to the winner - Karen! If you haven't heard of Paper Connection International, you're in for a treat. Since 1995, owner Lauren Pearlman Sugita has been importing handmade fine art and specialty papers from all over the world, notably Japan, India, Nepal, Latin America, China, and Korea, to the PCI studio and warehouse in Providence, Rhode Island. PCI is known for its staff that offers decades of expertise in the world of paper along with dependable customer service. Technical assistance is provided to manufacturers, retailers, museum curators, bookbinders, conservators, artists, and designers. Lauren frequently lectures and hosts workshops about the tradition of hand-making high quality paper, helping to ensure that the information is maintained by generations of artists and crafts in the East and West. ... and mizuhiki cord (below) which is made from tightly wound and starched rice paper. Originally it was made to tie up the hair of samurai warriors, but now is shaped into beautiful knots that can be used to decorate cards and gifts. 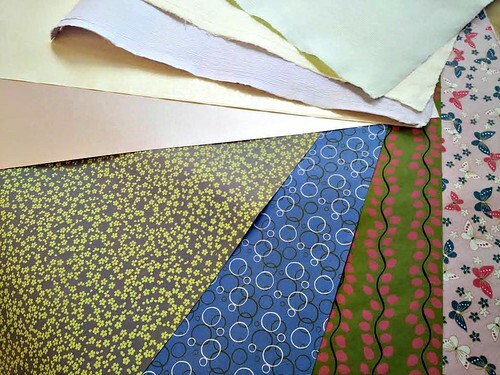 Paper Connection International has offered to send a selection of nine Japanese paper sheets ($30 value) to one U.S. resident who leaves a comment on this post. The superior papers would be ideal for bookbinding, card making, and box making, just to name a few ideas. Several of the echizens and crepe echizens are not featured in PCI's catalog, so the winner will be receiving something unique from their vintage collection. From left to right, the lighter colored papers - mint, yellow and lilac - are textured and would be ideal for all sorts of paper craft. They have crevices running through them and a crepe paper-like texture. They are often used for flower making. The three patterned papers - green with pink vine, gray with yellow flowers, and blue bubbles - are PCI Laurelei Designs, silk-screened patterns on acid-free, recycled cotton paper. The yellow echizen is a vintage paper with a pretty sheen that features a small Japanese calligraphy repeated pattern. The pink butterfly paper is a full sheet of vintage Japanese yuzen. Lastly, the peachy-pink echizen is a bit metallic and has a pearlized sheen - quite nice and elegant! Leave a comment as your entry below. One winner with a U.S. mailing address will be selected at random on Monday, August 18 and announced here as soon as she/he has been contacted. Paper Connection International has a blog and is on Facebook and Twitter. Oh my, afraid if I won these I wouldn't be able to go back to regular papers....but I'd love to try them. I've long had a love affair with paper of any kind, these look exquisite. I would love to make some flowers with some of those papers! It would be awesome to be able to work with these gorgeous papers. Every scrap would be precious! I love working with different types of papers! These are lovely! I don't live in the US, but just wanted to say I'm salivating over those gorgeous patterns! 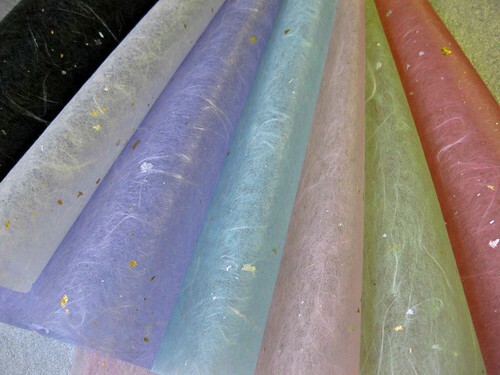 Beautiful papers, hand made papers are awesome! How beautiful!! I love working with these fine papers! I hope to add to my collection! They are simply stunning! Thank you for the chance. Love PCI and ALL the papers they carry. Oooo how fun! I'm going to be binding a series of travel sketchbooks when I get home and these would be GORGEOUS inside as lining! What lovely papers! Thanks for the chance to win! ooh, these are lovely. thanks for the chance to win. I would love to enter! My email address is: olivia dot west dot philly @ gmail dot com. Thanks! Everything looks like a joy to work with. I would love to see and feel them in person. I get some of my chiyogami papers from them after meeting Lauren at a show in Pawtucket last year. They have a great annual sale but I don't live close enough... Glad you showcased them as a resource! There are no paper stores anymore in Albuquerque! I would love to use these in my jewelry! Thank you for offering this wonderful paper to one lucky person.. I would like it to be me but if not may the person who does please post some pix's with what she use it for... Thank you. Good Luck to all. The papers are spectacular! Thank you for sharing and for the opportunity to win! Pick me! Pick me! Beautiful papers, such possibilities! I would love to win these beautiful papers. Gorgeous paper, would love to add this to my crafting supplies. What a lovely giveaway! A great way to jumpstart creativity. WOW! What a giveaway.... Any one of these would be a real treat to receive. Love the texture and patterns of them all. Please add me to the draw. Thank you for the chance to win such a lovely supply of inspiration. Oh, what lovely papers! I am completely paper-addicted. These would feed that addiction nicely. Thank you for a chance to have them. Such beautiful papers are hard to resist. What a great offer that would be wonderful to win! Oh, my, these are gorgeous! These papers are gorgeous! I will make SO many things! Wow! Very cool. Thanks for the chance to win them. 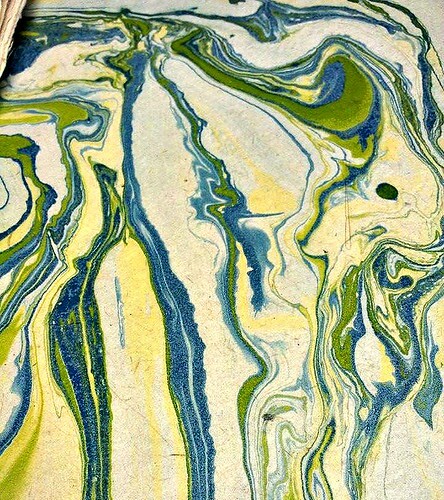 OMG, this would make beautiful jewelry. Would love to win this and I love Japanese patterns. Thanks ! These are stunning papers and would make wonderful art objects. Gorgeous papers! The last time I visited a shop with such beautiful paper (in Santa Fe), I ended keeping what I purchased for myself; it was art and worthy of a frame. I could spend hours with papers like these. Just amazing, the great quality of fine craft products like this is one of the things I will always remember from my trip there and I am always looking to import more into the states. The mizuhiki cord is intriguing, and the papers are beautiful. I'm a book binder and papermaker, and I'm pleased to see you're in Providence, RI--not too far from me. I'll have to make a trip to check out all of these beautiful papers. That paper looks yummy. Diane J. My mother passed away a few weeks ago and would have loved these beautiful papers. She was an avid quilter and appreciated the artistry in the patterned designs of fine fabric and papers both. I would use this paper to make woven 3D paper sculptures in her honor. Thank you! What an awesome giveaway! These papers are gorgeous!! Such a lovely collection and a generous giveaway ! Perfect way to share paper from around the world and assist in the continued curiosity of papermaking! These papers are lovely! Would love a chance to have some of them! Beautiful papers! Thanks for highlighting a wonderful resource! The papers are great, and so are the paperwomen! Keep your eyes open for a chance to see them! The papers you show here are just gorgeous! It would be fun to see any one of them in person and to work with them! Thanks for the opportunity to win some! Those are the most beautiful papers I have ever seen. I am a paper enthusiast and I would love to win them! Thanks so much for showcasing them on your blog. My fingers are itching to feel these beautiful papers and my mind is spinning with ideas for how to use them. I am amazed at the beauty of these papers. They are beautiful! I am imagining all the things I could make with them. So lovely, thanks for the chance. I love paper. Thank you for the chance to win some beautiful paper. Want want want - is it possible to salivate for paper? I'm in! Would love to win this paper pack just like all the others above - what was amazing to me was the different textures you can see it even through the picture - reminds of beautiful fabric - would love to win. Oh my goodness, these are gorgeous. i am pinning you onto my favorite blogs and websites board on Pinterest. I am not quite sure how I found you, but I'm glad I did! I just love the feel of handmade papers. They actually have a feel! Love, love, love handmade papers. I'm always amazed at how strong and sturdy they are. I have a large mailing tube full of Japanese papers that I picked up in Kyoto. Thankfully a little goes a long way. I love this collection papers. So, very pretty! There is so much to learn about the different kinds of paper and what can be done with it. I signed up to receive the newsletter and blog notifications to start my education! I would love to receive this great offer. Thank you! Lovely papers! It makes the fingers yearn to touch them . . .
these are some of the prettiest papers I have ever seen. Living in a rural are of Montana, I have never had a chance to see these types of papers except on line. The description of these papers would be a tactile and visual delight. I have been making cards for over 10 years and have never seen anything so beautiful as these papers. How I would love to show them off in my future creations!! What a beautiful prize! It would be so fun to have all those lovely papers to create with. Oh, my...these are so beautiful! Christmas in August!! I think I could get spoiled using these! If I won these papers, I would make Washi eggs. The paper is just lovely and I thank you for the giveaway. I would love to learn how to use the paper for sewing. Crafting would be on an other level from what I have been doing. Oh, my...what fabulous paper. My favorite pastime is wandering through the handmade paper department at my local art supply store....I feel it. stroke it, love it, and wish it was mine! I'm swooning of the gray and yellow flower paper! These are so beautiful. I like to bookbind as a hobby and these of course would make for lovely journals. Beautifully designed paper. Very nice! I love your selections. They are so beautiful. Oohhh! Paper is so satisfying to touch and work with! I would be sooooo thrilled to win this collection! I am a paper-aholic! I LOVE papers of all types and kinds. This would be an absolute dream if I won! I want to climb through my computer and touch these papers! They are so gorgeous! Thanks for the chance to win. Oh my, these are stunning. I so want. Such a nice giveaway. Thank you for offering a chance to win these. Thank you so much for sharing the exquisite paper photos. 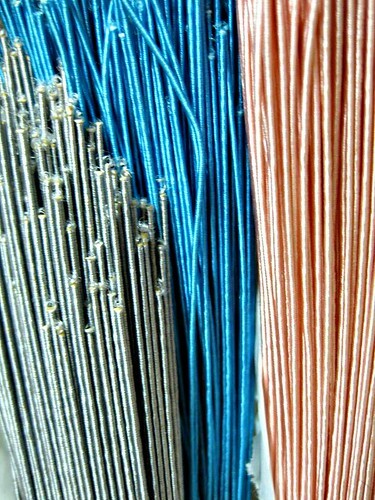 I look forward to receiving your newsletter and learning more about your company and your passion for handmade paper. Fabulous colors on these beautiful papers. Mahalo for the op to win. Lovely papers ... thanks for this opportunity! Paper has always been a love of mine. What a lovely chance to win some beauties. What amazing paper flowers i could create with these papers! I am totally awesome about your artwork. As person who usually works ( plays) with solids, your patterns and mizuhiki are totally amazing and I cannot wait to order your line and start back to play time. Winning a package of your product will make my life happy and anxious to get back to playing. Love the Asian papers...thanks for the give-away opportunity. I have been looking EVERYWHERE for Mizuhiki cord and lo and behold you have it! I shared your link with fellow stampers who are also interested in the cord. I just love your papers. I normally have to wait for the Rubber Stamp Conventions here in Washington state and Oregon to get Asian paper. Good to know about your site. I grew up loving paper and have learned about the feel of paper. I adore asian paper and designs and recently lost a rather large collection in a move. I would love to win these, but will absolutely be going to pci's site. Thank you! Thank you for the chance to win some of these exotic papers. Oriental art is my favorite and I love making cards with unique paper. Am also happy to have found this website. Unusual papers are my thing...and to win some of yours would be a real treat! Thanks for the opportunity. Oh my, these are beautiful papers! I would treasure the opportunity to sample these skillfully made works of art. What is it about paper that we all love!? There is always another piece prettier than the one before. How beautiful! 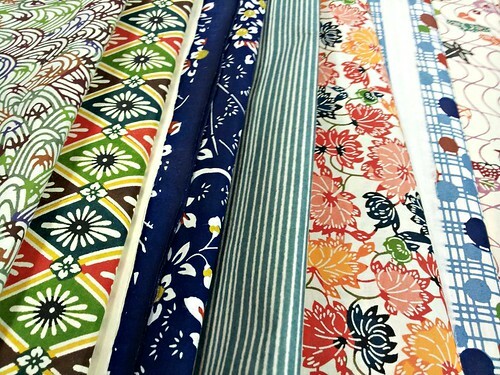 I love Japanese fabrics, but Japanese papers?? Lovely! I love Japanese paper! 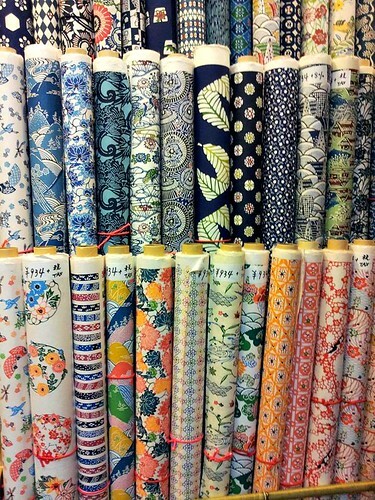 What an array of super papers, such a shame I do not live in the USA!!!! Someone will be delighted with their prize! Thanks! Thought I posted but not sure... I so want these papers!!! Please pick me!!! Oh Goodie....another place to pick Washi paper!!!! Woo Hoo! I have quite a collection and always on the lookout for Washi and handmade paper to make handmade cards! Thank you sooooo much for the chance to win some!!!! These papers are absolutely gorgeous, I love Japanese papers. Thank you for an opportunity to win. The giveaway has ended. Thanks to all of you for entering. ohhhhhh nooo!!! i missed the chance.......noooo.... i really want them!! !